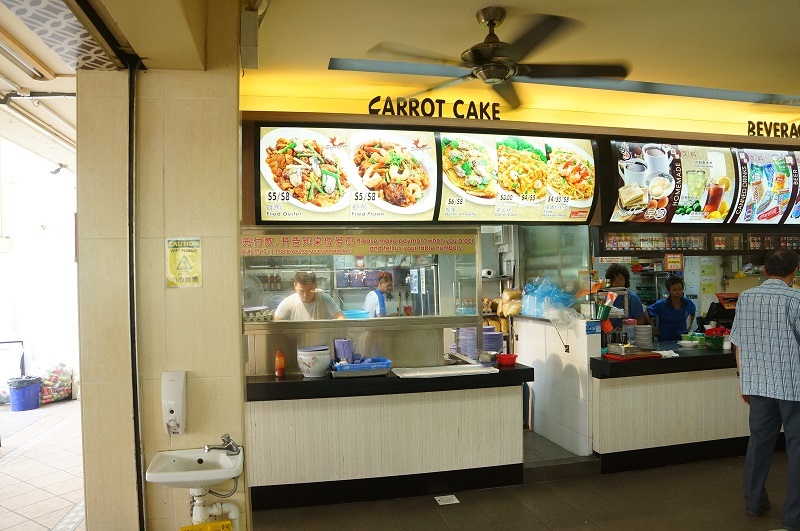 There is no name given to the stall, it is located in a coffeeshop at this HDB block in Tampines, naturally it will name after the block and we called it Tampines 802 Fried Hokkien Mee. Most of the tables ordered the fried Hokkien Mee but besides Hokkien Mee, the stall does serves fried carrot cake, fried oyster omelette as well. In order not to miss out any good stuff, we decided to whack all the three dishes for tasting – the glutton family always. We ordered the $8 serving. We will only feature the main topic – the fried Hokkien Mee in this review, the fried oysters omelette will be reviewed separately. How about the fried carrot cake? Well, you can forget about it, it is not worth to review at all. 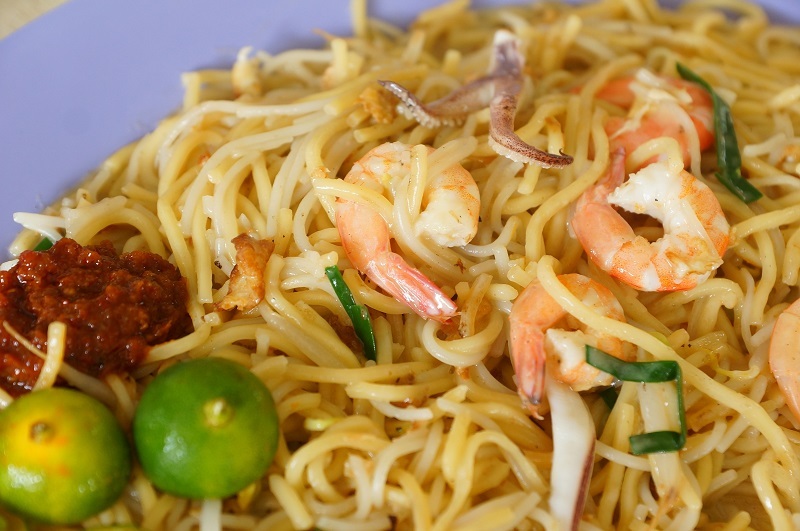 The Hokkien mee was gooey and viscous, the yellow mee and white thick bee hoon ration was about 70 to 30, the high percentage of the yellow noodles intensified the taste of the alkaline and not too pleasant to the liking in some of us. 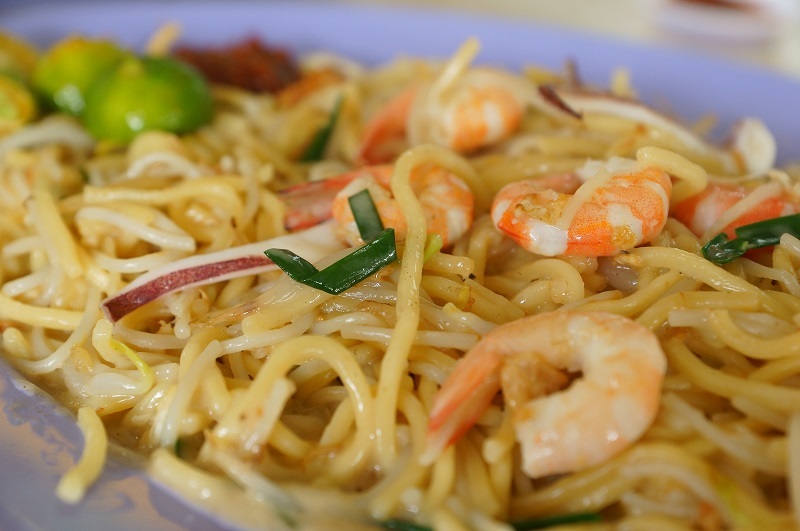 Taste wise was generally flavourful but missing the charred smell, the seafood aroma could be a little more robust to bring up the overall Hokkien Mee’s flavour. You may like to add a dash of sambal chili to help boosting the taste and to have more punch. 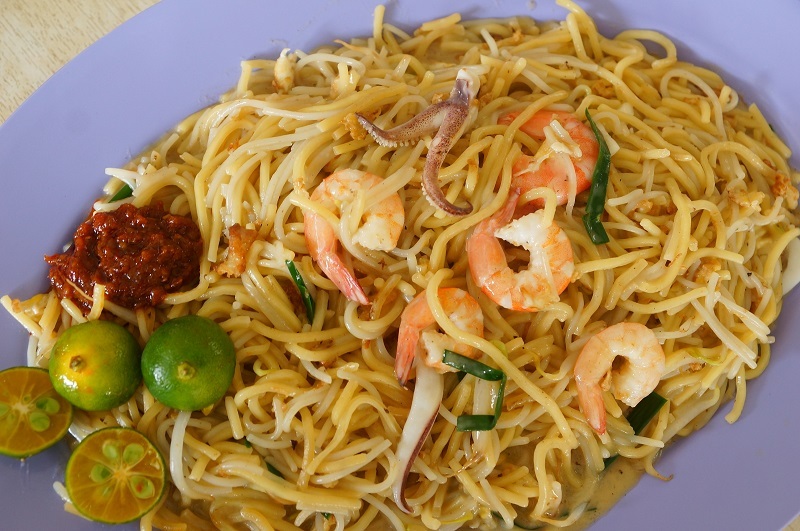 Our verdict, the Hokkien mee here is not something that can make you fall in love instantly and it is definitely not that bad either, judging from the tables that ordered the dish, you know there is still a good pools of fans go along well with the stall.